Scribes Mini Rugby Coaches will work with the kids in teaching them the fundamentals of rugby, which in turn develops confidence, agility, balance, hand-eye coordination, sportsmanship and camaraderie. There may be an additional separation of ages…this will be decided based on numbers. Do you want more information about Scribes Mini Rugby? We’re happy to get into specifics about training, skill development, games and the Scribes Mini Rugby experience. To get in contact, send us an email. 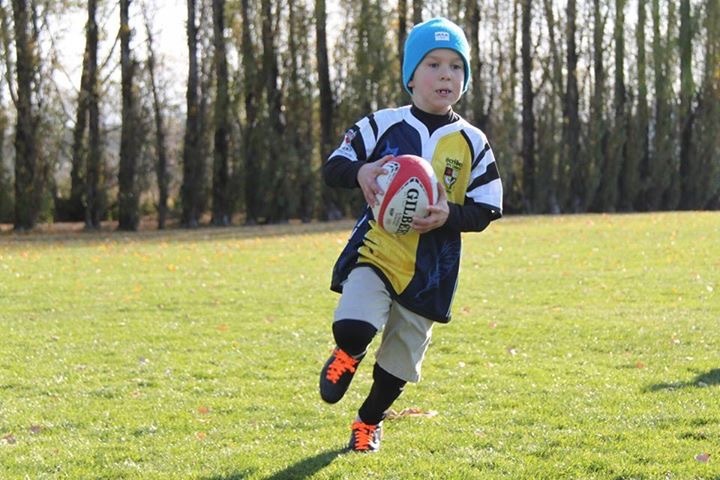 Scribes Mini Rugby returns for the Spring season, with training set to begin on February 3rd, 2019, at 10am at Trout Lake Rugby Field. The 2018/19 season (Sept ’18-Aug’19) fees per child as shown below (this is Rugby Canada fees which include insurance, details below), $50 uniform deposit (deposit will be refunded once uniform returned at end of season) Uniform includes jersey and shorts. Socks may be purchased separately. Please bring cash or cheque for the uniform deposits. Registration must be completed through the Rugby Canada website. To register, click here. Once completed, the Scribes RFC registrar will receive a notification of the registration. If possible, please print out the registration receipt. Training attire, including uniform, socks, water bottle, and a good attitude. Please bring the registration receipt, uniform deposit, cleats (rugby/soccer), and a water bottle to the first training session. Please note it is also an option for kids to come out to the first practice to check it out before committing to Scribes Mini Rugby Team.